We specialize in seemingly impossible IP acquisitions. Don’t believe it? Give us a try! Marksmen discreetly and confidentially researches, negotiates and purchases virtually any kind of intellectually property on your behalf—while keeping your identity anonymous. 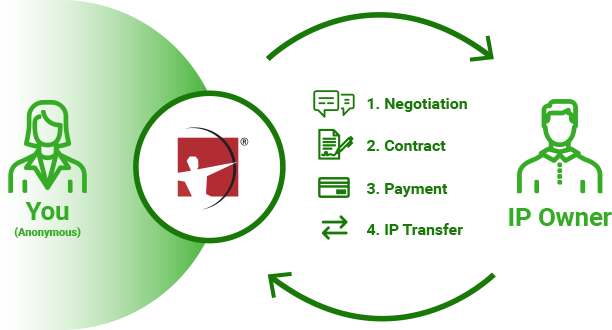 Whether you’re a fledgling start up or global brand, professionals choose Marksmen for their IP acquisitions. Marksmen has acquired tens of thousands of domains, social medial handles, trademarks, and other IP—including “whoppers” you use every day. Here are the steps we take to ensure anonymous, affordable transactions. One of our skilled analysts will review your target domain or IP and personally walk you through our process. We discuss your needs, the target IP ownership history, provide guidance on a budget and discuss a strategy that fits your needs and timeframe. Finally, rest assured that we never reveal your identity during the process. Once we’ve done our due diligence, we’ll contact the owner, representing you as an undisclosed third party. We’ll assess their willingness to sell and discuss their starting price. Over the following days, our acquisition professionals will expertly negotiate with the owner to arrive at the point of mutual agreement. We keep you informed and involved every step of the way. Next, we’ll memorialize the purchase with a written agreement that is signed by the seller. You provide us the funds and we interact directly with the seller to complete the payment and to transfer the domain or IP. Your anonymity is completely preserved during the entire process. Why do professionals choose Marksmen? Not only are we experts at IP acquisitions but our rates are very reasonable and we never charge a commission. We are experts at bringing two sides together for a positive outcome. Not only do our clients rave about their experience with us, sellers appreciate our professionalism and smooth transactions. Gotta have it? Let us help you get it! Tell us what intellectual property you need and we’ll take care of the rest.